Background/Info: Adán & Ilse is a prolific band, unleashing their 4th full length since 2013! The French formation now consist of Pedro Peñas Robles (Unknown Pleasures Records owner and formerly known under the HIV+ moniker) and Michel Lecamp (aka Usher, and involved in different projects like Norma Loy, black Egg ao). The main change consists of Peter Rainman who left the band. Content: The new album features 7 tracks plus 7 remixes. The sound approach of the French formation has always been really ‘special’ and totally different from the familiar synth-pop standards. Adán & Ilse clearly have something against ‘pop-conformism’ and their minimal approach, which finds its sources of inspiration in the 80s is absolutely unique. 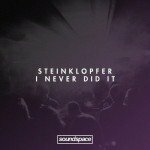 The songs are once again a mixture of 80s electro-pop and early EBM mixed with some raw and somewhat industrial elements, multiple sound effects and cold synthesizer lines. This is not the kind of ‘pop’ that will make you happy. “Chirurgie Plastique” is a title that symbolizes a sonic surgery of electro-pop to compose a new ‘pop-hybrid’, which might remind you of bands like Fad Gadget and Taxi Girl. The sound intrigues while the French lyrics are cold and sterile, which is another affinity with 80s productions. A few tracks are sung in English. The remixes were accomplished by interesting artists like Electrosexual, Neon Electronics, Theremynt, Haujobb ao. I especially recommend the remixes of Theremynt and Haujobb. + + + : You’ll either like it or not, but this album clearly reveals a creative approach in the writing of electro-pop music. I like its minimalism, which is more explicit than on any previous work while there some cool remixes as well. – – – : Minimalism not always is the best way to become accessible to a wider audience, but I think those guys are simply doing what they like to do! 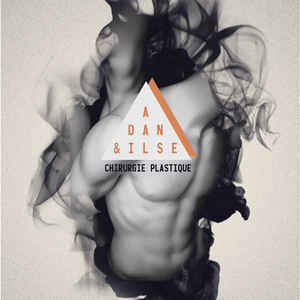 Conclusion: Adán & Ilse is a sonic enigma and an alien of contemporary electro-pop music. “Chirurgie Plastique” is the antidote for Depeche Mode clones and other cheap synth-pop productions. Best songs: “Untouchable”, “Energy”, “Blind”, “Voice In Blue – Remix by Theremynt”.